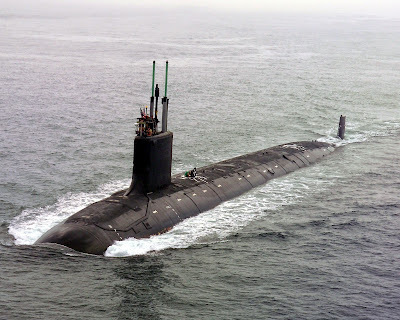 Click to enlarge and save the image to view the details: Virginia class SSN. In high resolution here. US navy getting more powerful with addition of another attack submarine and it is named as Virginia Class multimission nuclear-powered submarine.It's hull size is length of 377ft by beam 34ft and displacement is 7,300t dived and accommodate standard 19in and 24in width equipment for ease of installation.It is equipped with 12 vertical missile launch tubes and four 533mm torpedo tubes.